In just a few weeks, tractors, planters and all other related equipment will be returning to the fields to start planting the 2018 crop. Because you put your planter away well, you have a great start getting your planter ready to be put in the dirt, however, there are still a few things you should check over. 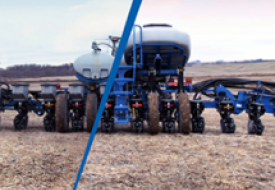 To help you get ready, many Kinze dealers host a yearly Kinze Planter Clinic, which is a great opportunity to ask questions and make sure your planter is ready for spring. Contact your local Kinze dealer to find out the date for the next clinic. In the meantime, to assist you in identifying what planter components may need to be adjusted or replaced and be prepared for a great spring, review the simple list below. Grease entire machine and replace fittings not accepting grease. 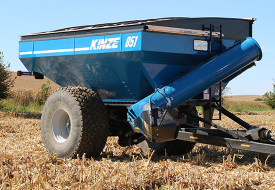 Take the seed meters to your local Kinze dealer and, using your own seed, have them tested on the Seed Meter Test Stand for proper repair and adjustment. 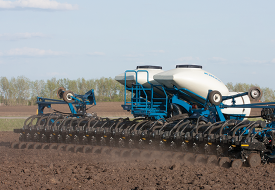 Make sure hitch height is adjusted correctly to keep the planter tongue level. 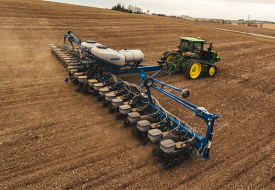 Read an excellent article on checking over planter electronics, written by Phil Jennings, Service Manager at Kinze, and perform the recommended tasks. 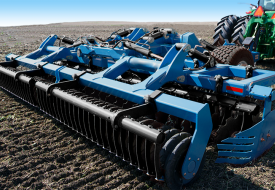 Visit Kinze.com for the latest software releases to ensure all displays and controllers are operating with the latest versions of software. Finally, always refer to your operator's and parts manuals for maintenance and part information, and contact your Kinze dealer with any questions you may have.